Yesterday, I took a tour of the model Labor & Delivery and NICU rooms for the new replacement patient bed tower at Sarasota Memorial Hospital. This project is scheduled for completion in the fall of 2012. Taking me through the rooms were Debra Boterf, R.N., Business Manager for Women's and Children's Services, and Sheree Davidson, who is guiding tours for the public through next week. First, we visited a model NICU unit. The privacy of the rooms and inclusion of family space is an improvement over the current unit, and it seems this allows for more personal interaction with the babies, from both the families and the nursing staff. I asked about the possibility of parents sleeping in the rooms with their infants, and I was assured there would be ample room for cots and privacy. Next, we visited a model Labor & Delivery room. All Labor & Delivery rooms will have couches and seating for family members. The infant warmers are right near the doors, Debra explained, so that the mothers could see their babies from their beds. This was modeled after the Labor & Delivery Unit at Tampa General Hospital. I suspect this decision was actually driven by a need for efficiency by the hospital staff. The Labor & Delivery room I saw is a 'normal' room, but there will also be three 'low-risk rooms' included in the expansion, which Debra pointed out on the floor plan. These low-risk rooms will include Jacuzzi tubs, wide hallways for increased mobility with intermittent fetal monitoring, and an adjacent family lounge. This is a very big step in a positive direction. I commend Sarasota Memorial wholeheartedly for creating an environment of support for movement during labor, alternative pain relief (water), and space for doulas, friends and families. The current building that houses Labor & Delivery, the Mother Baby Unit, and the NICU is over fifty years old, and has seen several expansions. These expansions have resulted in a piecemeal situation where the rooms differ from one to the next, making the job of the nursing staff more difficult than necessary. During the schematic design phase for the new replacement tower, the staff nurses were consulted and had integral design input. The result of this input is what looks like a huge improvement in efficiency. For example, there will be nursing stations between every two NICU beds, and all obstetric units will be on adjacent floors with private connecting elevators. If this increased efficiency translates to increased continuity of care, low nurse to patient ratios, and genuine support of non-interventive normal birth, perhaps we will also see a much-needed decline in Sarasota Memorial Hospital's c-section and induction rates. If you would like to tour these rooms, please call Sheree Davidson at 917-9000, extension 1804 or email her at sheree-davidson@smh.com to make your appointment. Tours will only be available for another week or so, as the building which houses the mock rooms is being torn down October 15th to allow the construction of the new tower to begin. April 2, 2003....My water broke at 11:00 am, I hadn't had any contractions yet, but I knew he would be born today. I called my husband first, then my midwife, my doula, and my best friend. Within minutes my contractions were 2 minutes apart and very intense. My husband arrived in 20 minutes with our midwife only moments behind him. I had just gotten out of the shower when she arrived. As I was kneeling on the floor comfortably leaning on my husband, she gently and quietly listened to our baby's heartbeat, reassuring us that everything was normal. Our doula arrived & began filling our tub. We knew this baby wasn't going to take long. Before I knew it I wanted to get in the birthtub, but more than anything I didn't want my husband to leave my side! With the help of our midwife & doula he didn't have to! 12 noon I was in the tub, very thankful for the relief the water gave me. I began to feel a bit overwhelmed with the intensity of my labor... this made me realized that I was going to push soon... that's how everyone feels just before their babies are born. Next thing I know I'm pushing, I glance at the clock... 12:20, then 12:30, I could feel my baby's head emerging from my body, it was amazing to be the one to touch him first! My husband was the 2nd. 12:48pm My 3rd child was born! What joy! My other two were born prematurely in the hospital, this was my 1st full term pregnancy & he was born safely & comfortably at home surrounded by his family! My children rushed inside (a friend picked them up at school) just as he began to cry, their faces alive with wonder & amazement at this new person, their new brother! No one takes him away from us... he's held by me, then my husband, my children, my friend, and our midwife. I'm helped into bed with my new baby. Food is prepared as my husband & I cuddle in our bed together absorbing this miraculous moment in our lives, thankful for the gift of this child and for the blessing of being able to have our baby at home! This morning, I was honored to be a speaker and an award presenter at the Healthy Start Coalition of Sarasota County's annual meeting. In attendance at the meeting were Sarasota Vice Mayor Kelly Kirschner, Florida Representative Keith Fitzgerald, Jim McCloud and Lisa Merritt from the Newtown Health Advisory Council, and many other members of our community that have a vested interest in improving maternal and infant health in Sarasota. Jenna Norwood, Chair of the 2009 Healthy Start Board of Directors, began the program by emphasizing the mission of the Healthy Start Coalition: to promote the health and well-being of pregnant women, infants, and young children in Sarasota County. She then presented the 2009 Mission Award to Rebecca Clapp, a Healthy Start Care Coordinator retiring this year after 37 years with the Sarasota County Healthy Department. Then it was my turn to deliver a Message from Sarasota's Moms. I hope I spoke for all of you when I said that what Sarasota's moms need most is support. The support of our families, our friends, our care providers and our community. The support that comes from having the ability to ask a question of our care provider, and receive a sound, evidence-based answer. The support of knowing that the very best and latest research is being analyzed behind the scenes to give us the healthiest pregnancies, the safest deliveries, and the best outcomes for our babies. I also introduced the meeting's attendees to the upcoming panel discussion Maternal Health Care in the 21st Century: Sarasota and Beyond. It was then my privilege to present the 2009 Family of the Year Award to Veronica Alvarez-Perez, who accepted graciously, with her two beautiful children, through tears of joy. Veronica embodies what Healthy Start is all about. This mother wanted to assure that her newly blended family thrived in a safe, loving environment, and could handle the stressors which they were facing. She followed through with all Healthy Start referrals for services, and attended all of her counseling sessions. She participated in the Healthy Families/Healthy Children program, sought out and received financial assistance and necessary baby items for her two month old, and even learned Infant and Child CPR. In face of hardships, she made sure her baby attended all well-child exams, and remained healthy through infancy. Jennifer Highland, Healthy Start Executive Director (and panelist for Maternal Health Care in the 21st Century), then introduced the 16 minute film Reducing Infant Mortality. I was so pleased that she chose this groundbreaking expose, produced by filmmaker Debbie Takikawa. The film investigates possible reasons for the US's staggering 33rd ranking in infant mortality, including overuse of medical intervention and lack of prenatal care for many Americans. It also suggests paths to improving this condition, such as the Midwifery Model of Care and breastfeeding. Jennifer concluded the film's presentation with a powerful message about Healthy Start’s fetal and infant mortality rates, leading risk factors, and how the community can work together to improve pregnancy health and have better birth outcomes. "Research has long shown that breastfeeding is the number one way to promote infant health and prevent a variety of problems and adverse affects, some of which last a lifetime. The winner of this award has stood at the forefront of breastfeeding promotion among area pediatricians and hospitals. He understands the circumstances which can enhance or defeat successful breastfeeding, and many times seemed to be the lone figure in advocating for the breastfeeding dyad. We admire and wholly support his tireless efforts to help make sure infants receive the best start in life through breastfeeding, and hope he will be joined by many others in the medical community to fully adopt practices which support breastfeeding." Dr. Isaac accepted the award with a powerful message of his own, encouraging other members of the pediatric profession to look at breastfeeding as a preventative cure for many of the chronic diseases that face their patients today. Janice Baxter, Contract and Quality Assurance Manager for Healthy Start, presented the Community Partner of the Year Award to the First Step Mothers and Infants Program, for their collaboration with Healthy Start to develop a strong, focused incentive program for pregnant women and new mothers who are in the First Step residential treatment program for substance abuse and addiction. Recognizing that two of the top priorities for health improvement are stopping smoking and breastfeeding your infant, the staff in this program created a special incentive program to reward residents who have stopped smoking and who are breastfeeding their infants. Healthy Start board members Shara Abrams and Kelly Kirschner then presented the Media Partner of the Year Award to Jackie Barron, of WFLA, News Channel 8. Kelly gave a personal account of his own struggle with the premature birth of his son, Bodhi, and Bodhi's need for the vaccine that prevents RSV, a potentially lethal respiratory infection. This vaccine is needed in a large percentage of premature babies, and was not covered by insurance. But because of Jackie's reporting to the public the dangers of RSV, the cost of the vaccine is now covered. 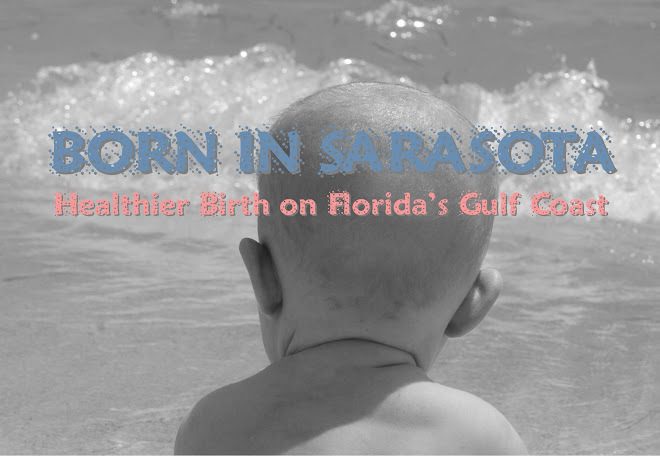 The Healthy Start Coalition of Sarasota County, Inc. is the only organization that is actively working to improve the health and well-being of Sarasota's pregnant mothers, babies, and infants. While the Coalition does receive government funding, it simply isn't enough to help this group execute and implement the programs necessary to literally save the lives of Sarasota's families. Please consider donating to this incredible effort. The TODAY Show, with its over 5 million viewers, has a public responsibility to air balanced journalism. A controversial issue such as maternal healthcare deserves investigation from many sides to paint an accurate picture. This was, unfortunately, not the case with the piece entitled The Perils of Midwifery, which aired Friday, September 11th. The title alone introduces this segment as a one-sided and biased presentation of the issue. America’s potential mothers deserve better. The American maternity care system is broken. The U.S. ranks 35th for maternal mortality and 33rd for infant mortality worldwide, according to the most recent World Health Organization World Health Statistics. Widely recognized as barometers of a nation’s overall public health, these mortality rates show that maternal and child health is a serious problem in this country, one rarely recognized, and one that deserves comprehensive and fair coverage by the media. For low-risk, healthy pregnant women, birth is a normal process in which credentialed midwives are highly trained to assist. Nowhere in your segment did you inform your viewers of the rigorous, experiential education a Certified Midwife (CM), Certified Nurse Midwife (CNM), or Certified Professional Midwife (CPM) receives. Peter Alexander said that the subject has sparked “passionate debate,” yet while we heard plenty from the American College of Obstetricians and Gynecologists (ACOG), we didn’t hear from a single midwife during the interview. 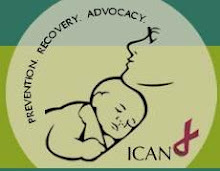 Midwives in this country are members of the North American Registry of Midwives (NARM), as well as the Midwives Alliance of North America (MANA), a professional organization analogous to ACOG. Cara Muhlhahn, the midwife to the McKenzie family, is a Certified Nurse Midwife (CNM); CNM’s belong to the American College of Nurse-Midwives (ACNM). Any of these three groups (NARM, MANA, or ACNM) would have provided comprehensive resources for a balanced investigation. We commend you for requesting an interview with Ms. Muhlhahn, and understand that she declined this request. Without her testimony, however, we have no way of knowing how, when, or why the McKenzie baby died. It was directly implied that this baby died because she was born at home. This may not have been the case. Furthermore, regardless of the reason for the McKenzie baby’s death, babies die in hospitals as well as in homes. There is much room for speculation and to imply that the McKenzie’s decision to birth at home with a midwife resulted in the death of their baby is simply exploitative. Midwives and physicians each have their place in maternal health care; only with true collaboration and mutual respect can we begin to heal a very broken system. This must be just one of many letters you have received about the one-sidedness of The Perils of Midwifery. We trust The Today Show will do a second, more evenhanded program on this vital issue, and look forward to your response outlining your plans in this regard. As part of a more balanced presentation, you might be interested in covering Maternal Health Care in the 21st Century: Sarasota and Beyond on November 1st. We would welcome the Today Show’s reporters and photographers at this discussion. We hope the program will pave the road to improved maternity care in our own community. 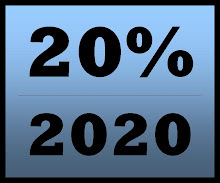 NBC and the Today Show have an opportunity to present a balanced report on maternal healthcare in the US and to thereby display an earnest effort of leadership toward improving maternity care in this country. There are so many exciting things happening in Sarasota the weekend of 10/31-11/1, and many of them involve the arrival of Ina May Gaskin to our beautiful city. At the request of several of you who would like the chance to spend some time with her, I'm posting an itinerary of events, dates, times, and ticket information. Please email me with any questions! Join Ina May Gaskin, originator of The Safe Motherhood Quilt Project, as she presents three panels of the quilt and discusses the hidden problem of maternal mortality in the United States. Following the presentation, Ms. Gaskin will sign copies of her three books, Spiritual Midwifery, Ina May's Guide to Childbirth, and Ina May's Guide to Breastfeeding. Proceeds from the booksigning will benefit Florida Friends of Midwives and The Safe Motherhood Quilt Project. This groundbreaking program will feature a distinguished panel of internationally recognized speakers discussing the current condition of maternal health care in Sarasota as it relates to Florida, the US, and the world, and to possible paths of action to improve this condition. The Sarasota-Manatee Chapter of the National Organization for Women (NOW) is sponsoring the event, along with co-sponsors Florida Friends of Midwives and the Sarasota Commission on the Status of Women. Tickets may be purchased via PayPal on this blog or on the Florida Friends of Midwives website (www.flmidwifery.org) beginning Friday, 9/18 at 10:00 am. Guests may also purchase signed copies of any of the three books Ms. Gaskin has authored: Spiritual Midwifery, Ina May's Guide to Childbirth, and Ina May's Guide to Breastfeeding, not yet released. Only 150 guests will enjoy the privilege of dining with Ina May Gaskin, pioneer of modern midwifery, at this gorgeous waterfront venue. Tickets include dinner and live music from Radio-Free Carmela and the Transmitters. Guests will view a tribute to Ms. Gaskin’s work, enjoy a cash bar, and participate in a silent auction and raffle. Net proceeds will benefit Florida Friends of Midwives, a non-profit grassroots organization dedicated to promoting and preserving midwifery access in Florida. I had a healthy pregnancy, although I had a thyroid problem that was, in retrospect, under-treated. So I was tired all the time and not as proactive about my care as I might have been. If I’d been stronger, I probably would have changed midwives. My midwife was a professional and cared for my pregnancy very well, but I was not comfortable talking to her and she never really got to know me. On my due date, Monday, I had a checkup. I had been 70-90% effaced for about three weeks with no dilation. I felt like the baby was ready—I’d always thought she was due sooner than they calculated. The midwife felt her head and found it was asynclitic—just a little to the side. The next day I did a lot of lunges and birthing ball exercises, but still nothing. On Wednesday at 7:30 my water broke. I made it to the bathroom, so I could see that there was heavy meconium—it looked like grass clippings! Still, we stalled—took a shower and called family. We got to the hospital at about 10:00 and I was carrying bags and feeling great. I chatted while we got signed in, swinging my legs as I sat on the bed. At about eleven o’clock EVERYTHING changed. Within about six strong contractions, I couldn’t stand the sound, sight or smell of anything. I could not get comfortable. The baby’s heart rate was dropping by half and not recovering very quickly, and the contractions kept building. It was my midwife’s day off, so we were in the hospital’s hands while they found her. This is a where a doula would have really helped us! They gave me terbutaline to slow the contractions, and oxygen, which really helped the baby’s heart rate, and started an amnio infusion, which felt wonderful! One nurse came in with a c-section consent form and when I, shaking from the terbutaline, asked if I had to sign it, no one answered me. I was scared for the baby, so I did. The midwife got there in about twenty minutes. She and the other nurses kicked out the c-section nurse. Then the midwife kicked everyone out and turned out the lights. We labored in peace as the contractions built again. Around six I wanted to push—now I know it was too early, but I wanted to then! I was nine cm with a lip, so we tried. The baby’s heart rate was slowing again, so I pushed every other contraction, and rotated positions since they didn’t know if she was facing up or down. When the real pushing contractions hit and I wasn’t pushing with them, I would hold my husband’s hands and imagine hanging from a cliff, letting my body go heavy and down. When I was pushing, I got really discouraged because I felt no progress. Finally my husband said he saw the head and I got a surge of energy. At this point, my midwife underestimated me. She started talking about getting a vacuum and what came out of my mouth was, “No, I don’t want an episiotomy.” She said, “Well, you’re having one. You and the baby are too tired.” I knew I had the strength, but I was so discouraged. Then our wonderful delivery nurse (natural childbirth mom herself) said, “You can have this baby in three pushes if you get serious!” And I did, with no vacuum, at 7:36pm. She was 20” and weighed 7 pounds, 9 ounces. Because of the heavy meconium, they suctioned her right away, but then my bare, beautiful girl was on my bare chest under heavenly warm blankets. She “kangarooed” toward the breast while her daddy looked on. Her hand found my cheek and it was the most beautiful moment ever. The episiotomy scar was poorly stitched and gave me pain for years after, and I suffered almost a year of postpartum depression. I had been prepared to be “tough” during labor, but not to be so scared for my baby. It took a lot of time to process my fear and feelings. But this birth gave me my beautiful daughter, the lessons I needed to be stronger for myself and my baby the next time, and the motivation to make all births, wherever they occur, mother-and-baby-centered. My thyroid problem was well treated in my second pregnancy, so I felt better. I felt totally comfortable with my midwives and looked forward to my visits with them—my daughter loved helping measure my belly! Our doula, a midwife herself, gave us excellent backup and support. I began prelabor three weeks before the baby was born. We’d been cool, laidback second-time parents, so nothing was ready when I got hit with three hard contractions one morning. We got the car seat and cradle ready fast, but nothing happened. That began the roller coaster of prelabor—contractions would usually peak around 3pm and 3am, but they never progressed. I repeated my doula’s words over and over: they have to get longer, stronger and closer together to be the real thing. After two weeks of prelabor my three-year-old daughter went for vacation with her grandparents, so I could concentrate on keeping my emotions steady. She had a great time! I was free to walk, eat or sleep when I wanted to. In that last week, we had three visits to the hospital to have the baby monitored, two with ultrasounds to check the fluid levels. The last one was on Monday morning. By then, I had lost the mucous plug days ago, and had five days of diarrhea. I was so ready to have the baby, and struggling with the thought that I was somehow stopping labor. At the end of the visit, I was 5cm, with one-minute contractions coming every six minutes. The midwife said that I’d be more comfortable at home, but that they’d save a room for me! I ate dinner and went to bed. At midnight, I woke up and went to the bathroom. There was lots of bloody show, but I fumbled around for my paperwork to see how much I had to have to be in real labor! I’d just found the paper when I was hit with a drop-to-the-floor contraction. I made it back to the bedroom and woke my husband from my hands-and-knees position. I stayed there through the strong contractions while he called the doula and then tried to find the right pressure to rub my back. I still felt my sense of humor through all of this—to the point of laughing (inside) when my husband couldn’t decide whether to get dressed or rub my back! I was really uncomfortable and firmly in transition when the doula arrived and immediately coaxed me into the car for the drive to the hospital. But through it all I felt so strong and conscious and proud, very healthy and in control. We got to the hospital at around one in the morning, and a group of nurses escorted us down the hall, with me dropping to hands and knees when I needed to. I felt like a celebrity with an entourage! The doctor of the practice was on call that night rather than my midwives, but at that point I knew he would only catch. I was nine cm when I got there, and I felt a clear change soon after. I rested a bit, they broke my bulging bag of waters and then I felt the real pushing contractions begin. I squatted and pushed, feeling the baby slide down my tailbone almost effortlessly. I was safe, with my husband on one side and my doula on the other. I saw all the feet of the doctor and nurses lined up doing nothing, waiting for me, and I felt so in charge! I was worried about crowning because I hadn’t felt it the first time, but it was just a stinging feeling. For the last push, the doctor insisted that I be on my back because the baby might be big. It wasn’t what I would have chosen, but my son was born easily anyway. When I first saw him, I thought, “Wow! What a big baby!” He was born at 2:34am, 21 inches and 9 pounds, 8 ounces. Like my daughter, he had meconium in the water and was suctioned, but then he cuddled right up and started eating. The nurses were wonderful, allowing us to co-sleep and calling me “super-mom”. I didn’t really feel like I was super-mom; I just did what I was meant to do. But it was nice to hear. As soon our daughter woke up, she brought her brother the gift she had picked out and our new son spent the morning surrounded by loving parents, grandparents and sister. I only had slight tearing along my episiotomy scar, and it healed easily. I felt so empowered and so strong that I had given birth on my terms. Three panels of the Safe Motherhood Quilt Project will be on display in the atrium of the Selby Public Library during the last week of October. The Safe Motherhood Quilt is a national effort developed to draw public attention to the current maternal death rates in the United States, as well as to the gross underreporting of maternal deaths. The Quilt is made up of individually designed squares. Each one is devoted to a woman in the US who died of pregnancy-related causes since 1982, the year after which no improvement has been made in American maternal mortality. The panels on display will include sixty squares; more than three hundred that have been made for the project to date. Ina May Gaskin, the project’s originator, will present the three panels in the Geldbart Auditorium of the Selby Public Library on Saturday, October 31st at 11:00 am. In 2005, the United States reported 15.1 maternal deaths per 100,000 live births, up from 7.5 per 100,000 in 1982. According to the World Health Organization, the U.S. ranks lower than at least 34 other nations in maternal mortality. Many maternal deaths are closely related to caesarean sections—bowel obstruction, anesthesia accident, pulmonary embolism, cut uterine arteries, placental abnormalities, ectopic pregnancy, and post-surgical infection. Some causes of maternal mortality, such as toxemia, amniotic fluid embolism, hemorrhage, heart attack and uterine rupture are not related to cesarean section. Only 21 states include a question on the death certificate asking if the deceased woman had been pregnant in the weeks or months before her death. The U.S. maternal death rate is actually 1.3 to 3 times more than what is reported in vital statistics records, due to under-reporting of such deaths (estimate by Centers for Disease Control, 1998). 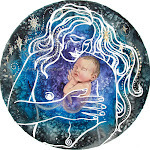 The Safe Motherhood Quilt Project is the vision of Ina May Gaskin, midwifery pioneer and author of Ina May’s Guide to Childbirth and the classic Spiritual Midwifery, who has been instrumental in bringing this issue to the public light. Ina May Gaskin is internationally recognized as the mother of modern midwifery, and has been credited with the re-emergence of direct-entry midwifery in the United States since the early 1970's. Ms. Gaskin is founder and director of the Farm Midwifery Center, founded in 1971 and located near Summertown, Tennessee. 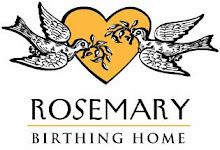 By 1996, the Farm Midwifery Center had handled more than 2200 births, with remarkably good outcomes, noted for low rates of intervention, morbidity and mortality. Ms. Gaskin herself has attended more than 1200 births. In addition to presenting the Safe Motherhood Quilt Project, Ms. Gaskin will be participating in the panel discussion Maternal Health Care in the 21st Century: Sarasota and Beyond, a progrom sponsored by the Sarasota-Manatee Chapter of the National Organization for Women (NOW), Florida Friends of Midwives (FFOM), and the Sarasota Commission on the Status of Women (SCSW), to be held at the Hyatt Regency Sarasota on November 1st at 3:00 pm. For more information about these events, please contact Laura Gilkey at laura@kangaroopromotions.net / (941) 915-8115. For more information about the Safe Motherhood Quilt Project, please visit www.rememberthemothers.org. Ina May Gaskin, the world’s leading midwife, is coming to Sarasota to participate in a panel discussion entitled Maternal Health Care in the 21st Century: Sarasota and Beyond, taking place at 3:00 pm on November 1st in the Sarasota Ballroom of the Hyatt Regency Hotel. Immediately following the program, Florida Friends of Midwives will host An Evening with Ina May Gaskin at the Hyatt Regency’s waterfront Boathouse, to begin at about 5:30 pm. Tickets for this event, going on sale in September, will cost $35 and will include dinner and live music from Radio-Free Carmela and the Transmitters. Guests will view a tribute to Ms. Gaskin’s work, enjoy a cash bar, and participate in a silent auction and raffle. All proceeds will benefit Florida Friends of Midwives, a non-profit grassroots organization dedicated to promoting and preserving midwifery access in Florida. 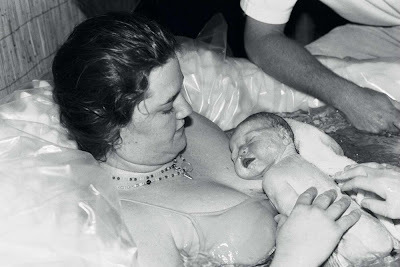 Ina May Gaskin is internationally recognized as the mother of modern midwifery, and has been credited with the re-emergence of direct-entry midwifery in the United States since the early 1970's. Ms. Gaskin is founder and director of the Farm Midwifery Center, founded in 1971 and located near Summertown, Tennessee. By 1996, the Farm Midwifery Center had handled more than 2200 births, with remarkably good outcomes, noted for low rates of intervention, morbidity and mortality. Ms. Gaskin herself has attended more than 1200 births. She is author of Spiritual Midwifery, Ina May’s Guide to Childbirth, and Ina May's Guide to Breastfeeding, to be released October 1st. She was President of Midwives' Alliance of North America from 1996 to 2002. The Gaskin maneuver, a low-interventive effective method for dealing with shoulder dystocia, is the first obstetrical procedure to be named for a midwife. Ms. Gaskin is also the originator and coordinator of The Safe Motherhood Quilt Project, a national effort developed to draw public attention to the current U.S. maternal death rates. 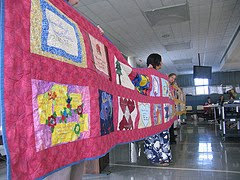 Three panels of The Safe Motherhood Quilt will be on display at the Selby Public Library from October 26 – October 31. 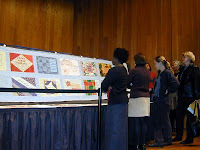 For more information about the Quilt Project, please visit www.rememberthemothers.org. In addition to participating on the panel and being honored at the tribute dinner, during her stay in Sarasota, Ms. Gaskin will be presenting a Clinical Conference to the medical staff at Sarasota Memorial Hospital on Friday, October 30th, and presenting the Safe Motherhood Quilt Project at the Selby Public Library on Saturday, October 31st at 11 am. For more information about any of these events, please contact Laura Gilkey at laura@kangaroopromotions.net. ABOUT FLORIDA FRIENDS OF MIDWIVES: Florida Friends of Midwives (FFOM) is a nonprofit grassroots organization dedicated to promoting the Midwives Model of Care and supporting the practice of midwifery in Florida. Florida Friends of Midwives was formed to support midwives who offer safe, cost-effective, evidence based care to Florida's Families. FFOM members are consumers and birth advocates with a common goal: to preserve the legal protection afforded to Florida's midwives and birth centers. They are committed to organizing the community to support midwives and to assure the continued availability of midwifery care in the State of Florida. For more information, please visit www.flmidwifery.org.